Steel Aviation holds the highest standards when it comes to the aircraft we sell. Our rigorous inspection and documentation process provides you with peace of mind when buying with us. This one has very few excuses. All ADs are in compliance, complete and continuous logbooks. A classic Beechcraft with modern amenities. Call us for more info. A nice clean A36 these are getting harder and harder to find. Always hangared, no damage history, complete and continuous logbooks, excellent maintenance and good cosmetics....whats not to like? Give us a call we welcome your questions and your trade ins. Excellent option in the G1000 172 market, NavIII with GFC700 autopilot make flying this plane a dream. Well cared for and ready for a new owner. Please call us today to discuss. A 2 owner 182, no crank AD! Great heavy family hauler. Excellent avionics, and cosmetics. Complete and continuous logbooks, all AD's are in compliance, and there is no damage history. This aircraft was originally owned and meticulously maintained by Western Michigan University before being purchased by the current owner, who has continued the exceptional maintenance and added countless upgrades to this already great aircraft. No Damage history and continuous logs. Logbooks are available on our website. A great heavy hauler that is ready for a new owner. Excellent history, all ADs are in compliance, complete and continuous logbooks. Ready to go Annual completed in September. Excellent Aircraft. Very Clean! A nice low time XP at a great price point just out of an extensive annual inspection. Call us for more details. Great aircraft with tons of upgrades. The Vitatoe IO-550 Turbo-normalized conversion. Increased cruise speed and climb rate. The conversion alone is over $100k. GAMI Injectors, Garmin GTN 750. A nice solid 182 heavy hauler and tried and true. Hard to go wrong with this plane. Excellent first or last bird! Complete and continuous logbooks, good cosmetics, WAAS upgraded 430.....call us! Steel Aviation is excited to present N126DF. This is one of the lowest time Cirrus SR22 GTS on the market and because it doesn't have the known Icing System, you have a huge useful load of 1227lbs!!!! . This aircraft has only 62 flight hours total and is less than 1 year old!!! 126DF is loaded with all the features and options you would expect from a late model GTS including Air Conditioning and the owner even added the factory correct built in oxygen system after taking delivery the aircraft. Cirrus is sold out of new aircraft for 2017 and this rare and unique 2016 SR22 GTS won't last long. 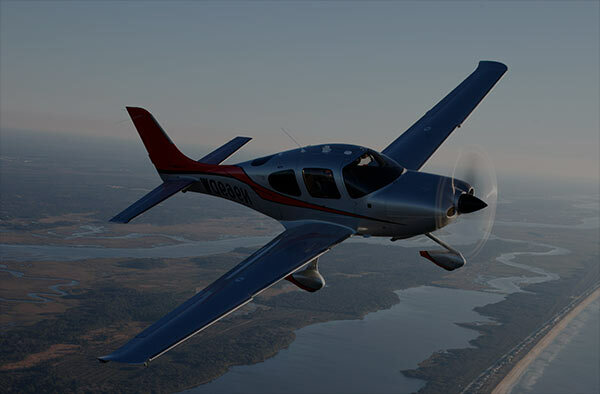 Complimentary Cirrus Training provided as part of the Cirrus Embark Program. Mates......this is one nice Cirrus down under. Located in Australia, but don't let that deter you. We can ferry or go pick it up for the adventure of a lifetime. Call us and we can discuss. A beautiful Air Conditioned SR20 G3, excellent useful load in great condition. 5 year warranty, well maintained, always hangared. Call us today for more details on this one. The G5 is an aircraft that is unmatched in the industry. This plane is so capable in every way. An excellent business tool, perfect for family getaways, truly a time machine. Call us today for complete details. 2013 Cirrus G3 SR20 with Garmin Perspective and Air Conditioning!! Spinner to Tail Factory Warranty until May 2018!!! Cirrus Perspective Avionics, GFC 700 Autopilot, 60/40 Rear Seating. The aircraft has 1445 Flight time and 1795 Hobbs time. A one owner N53CK is ready for a new home. This one is like new with low time and all of the right features. Complete and continuous logbooks with full AD compliance. It is ready to rock business or pleasure this one should be at the top of your list. TRADE INS ACCEPTED. Call us! This is position number #145 and should be delivered within the first year of production. This is a 0 down deposit! There are only a few of these in existence and we are excited to be able to offer you this incredible opportunity. Current price of positions is 1.72 million and position numbers in the 400?s with a $100K deposit. Save THOUSANDS this position is locked in at 1.39 million. And is number 145! Save and get your jet sooner does not get much better than that does it? Call us for complete details. We are looking for offers. With new owners Cirrus has announced its commitment to the Jet program and we are looking forward to another exciting game changing Cirrus aircraft! A one owner service center maintained Cirrus that is in exceptional condition. If you are looking for a cream of the crop aircraft this one is it. Hardly broken in, all ADS are in compliance no damage history complete and continuous logbooks. Call us for more information. A one owner aircraft highly maintained, complete and continuous logbooks, no damage history. This one has it all loaded with options. Call us for more details. N777WE is a fantastic loaded FIKI turbo. Always hangared, shows very well. Exceptional maintenance, complete and continuous logbooks. Fast, fun and capable. As close as you will get to owning your own magic carpet time machine. Call us to learn more. You want an affordable FIKI bird? This one is it! Tons of utility with this uniquely set up aircraft. Great logbooks, in very good condition, well maintained and ready to go. Call us! This aircraft has a 0 time Fresh top overhaul with Continental Nickle Cylinders!!!! Always hangared, No Damage History, and well maintained 2010 X Edition GTS SR22TN (Tornado Alley Turbo Normalized). Feb 2017 Annual has been completed and the aircraft has just been buffed and waxed. Paint and interior are both in excellent condition and it comes with black sheep skins covers for the front seats for added comfort. This aircraft comes fully equipped with A/C, ADSB Out, FIKI, IR camera, XM Weather and Audio, and published speed of 211KTS at 25,000'. Here it is the highly sought after Normally Aspirated, Perspective, TKS with A/C. Exceptional aircraft low time and it shows very nicely. Give us a call to learn more. Here it is the unicorn plane.....Normally aspirated with FIKI and A/C. Super nice aircraft well maintained and ready for a new home. All Ads are in compliance, complete and continuous logbooks. No damage history, excellent aircraft. A one owner aircraft this one should be on your short list. Hard to find low time G3 turbo with an excellent useful load. The plane has been lightly used and is a great value in the used market place. Considering a new Cirrus is pushing 1 million this one would be a great options as it is like new. Call us to find out more. Here it is a low time FIKI Turbo with all of the goodies! Lightly used and never abused, all AD's current all mandatory SB's are in compliance, no damage history, ALWAYS hangared, and a one owner aircraft. Give us a call to discuss this one. It is NICE! Excellent aircraft in so many ways. Perfect first or last aircraft. Loaded and ready to go. Excellent aircraft factory overhauled engine. No damage history. Good cosmetics. This one is ready to go! Call us! Gorgeous SR20 with all of the right upgrades. One owner, hangared, all ADs in compliance complete and continuous logbooks. Ready for a new home. Call us today for more information. A one owner plane N453CP should be on your short list, meticulously maintained all AD's and all mandatory SB's are in compliance there is no damage history the logs are complete and continuous. IT HAS Air Conditioning SUMMERS coming call us! A two owner plane this one is a great choice in the used market, babied and ready for a new owner call us today for all of the details! All AD's in compliance and all logbooks are complete and continuous, there is no damage history. Awesome engine data and oil analysis, flown by the book. Call us this is one fantastic Cirrus! This is a three owner aircraft, the plane has excellent maintenance. All AD's are current there is no damage history. Owner is moving up so this beautiful aircraft is available. Give us a call for complete details. This is a nice one if you are looking for a G3 SR20 look no further. Very well maintained and in excellent condition. There is no major damage history on this one all AD's are in compliance, logbooks are complete and continuous. Give us a call. Super nice aircraft! Here it is the very hard to find but highly sought after NON TURBO Perspective with Air Conditioning. Excellent condition. Give us a call for complete details. Here it is a highly upgraded Turbo G3. Dual touch screen Avidyne IFDS ADSB compliant. Did I mention the 0 Time Zepher Engines overhaul with full warranty including hoses and turbo? Fresh O/H on the propeller, Call us this one will not last long. A two owner loaded SR20 GTS N184PG is in awesome shape. All AD's are in compliance, all logbooks are complete and continuous. This is an excellent aircraft call for more details. Excellent aircraft, factory new TSIO-550-N1B 2200 TBO. No Damage History, excellent logbooks and complete and continuous logbooks. New paint in 2017, Factory A/C, and WAAS. You want nice here it is! Call us. A completely refurbished Cirrus, looks like a new one at a huge savings! Hurry this one will not last. All AD's are in compliance, no damage history, complete logbooks, engine overhauled by one of the top shops in the country! The list goes on please call for complete details. WOW! Could not replicate this aircraft at this price! Maintained by Jim Barker, stored in a heated hangar, this one has been babied. Complete and continuous logbooks, no damage history, and all Ad's are in compliance. Put this one on your short list and give us a call. A rare normally aspirated aircraft with low time, fresh annual this one should be near the top of your list if you are looking for a N/A aircraft. Fresh out of annual and fresh IFR certification. This is a great clean low time aircraft. Call us for more details. Highly upgrade Turbo with the R9 system including Synthetic Vision. Awesome set up. Only 100 hours on a complete top end overhaul. This one has lots of life left in it. Excellent price point. Call us to learn more. Excellent example of a nicely maintained and upgraded G3. The last annual was completed at Tornado Alley Turbo where they fine tuned and dialed in the turbo and it runs better than ever. All Ad's are in compliance, logbooks are complete and there is no damage history. Call us for more details. A one owner aircraft flown by a CSIP CFI since new. This plane has had the best of care, exceptional maintenance, all ADs are in compliance, complete and continuous logbooks and no damage history. Call us now for further information. A one owner low time highly upgraded G3 Turbo. These are getting harder and harder to find. Continuous logbooks, all ADs are in compliance. Excellent Avionics. Call us to learn more. This plane has had exceptional maintenance all AD's are in compliance, complete and continuous logbooks with no damage history. The top end has also been completed and only has 750TT. Should provide years of enjoyment to the new owner. A one owner highly upgraded SR22 Turbo. This.....one.....is......NICE! Excellent in everyway. Complete logbooks, Full Avidyne Warranty until 11/18. ADSB Out compliant. Low time Cirrus are harder and harder to find. Call us you will not be disappointed. This one is ready to go! Excellent aircraft, Cirrus Service Center maintained. Complete and continuous logbooks. Loaded GTS. Call us today to learn more. Upgraded turbo with excellent options. All ADs are in compliance, complete and continuous logbooks. Call us for more details. These are hard to find one of only 50 produced, including the K Brothers signature. Excellent history, this one is ready to go! Loaded with options and it looks fast sitting still. Call us for more information on this gorgeous Cirrus. A one owner Cirrus like this is getting harder and harder to find. Pride of ownerships shows with this one it is in excellent condition. All AD's are in compliance, complete and continuous logbooks with no damage history. Nicely upgraded with the DFC90 and WAAS. Call us to learn more. This one is a nicely upgraded fully loaded SR20 GTS with no damage history, complete and continuos logbooks. Excellent first or last aircraft. Highly maintained and ready for a new owner. Call us to learn more. Here it is the highly sought after 06 GTS with A/C. Upgrades include WAAS and a DFC90 Autopilot. There is no damage history all ADS are in compliance this one is ready to go. Call us for more details. A two owner ultra rare on of only 50 Signature Turbos made N908SE is a fantastic aircraft. Highly maintained and upgraded. Owner is moving up give us a call for more details. A lot of plane for the money. All AD's in compliance. Give us a call to learn more. The original owner has decided that due to his time constraints it would be best to find N212SR a new home. This plane is the must desired 06 GTS with A/C. Its low time but not too low.......this one is an excellent buy call us will not last long. These are getting harder and harder to find. This aircraft has been highly upgraded and is in excellent condition. No damage history, no stories, no excuses. All AD's are in compliance, logbooks are complete and continuous. Ready to go! Call us for further details. N336B features highly desirable options with both A/C, DFC90 and the WAAS upgrade. It has been very nicely maintained, and has had consistent use. Give us a call this one is ready for a new home. Planes like this are getting hard to find. Low time with all of the right features. All AD's are in compliance all mandatory SB's have been completed. Just out of an annual inspection. Summer is coming and this one has A/C! Hard to find a knick or a scratch on this one. Call us! With a little work this one is well worth the investment. Paint it and have a very low time restored Cirrus. Low time Cirrus are getting harder and harder to find. Excellent investment. All Ad's are in compliance, complete and continuous logbooks, and no damage history. Call us NOW this one will be gone before you know it. A one owner Cirrus that is in amazing shape. Minor prop strike (small chip in the prop we have photos which resulted in the the engine overhaul. Overhauled by Triad with full warranty Coverage. It will be hard to find another one that is any nicer. Call us for details. N62CH is an excellent aircraft. ADSB compliant both in and out, this plane is ready for the future so you should include it in yours. All AD's are in compliance, complete and continious logbooks. Call for complete details. A one owner Cirrus this one is ready for a new home. Always had the best care and is in excellent condition. It is ready to go. No damage history, all AD's are in compliance, complete and continuous logbooks. Call us! Beautiful affordable SR20 with all of the GTS options. Great aircraft excellent maintenance ready to go for a new owner. A beautiful highly upgraded, extremely capable IFR machine. This is a fantastic aircraft. It has all of the right features. All AD's are in compliance, no major damage history. Exceptional aircraft. Fresh Annual Inspection to be completed with Kim Davison Aviation a well respected Cirrus Service Center. THE LOGBOOKS WERE JUST STOLEN (LONG STORY) BUT WE HAVE COMPLETE SCANNED ORIGINAL COPIES. Highly capable aircraft for the money. Lots of life left in this one, excellent maintenance history. All AD's are in compliance, complete and continuous logbooks, ready for a new owner. Call for more details. A one owner babied Cirrus N228MM is ready to FLY. All AD's and mandatory SB's are in compliance, there is no damage history, and complete logbooks. An excellent choice in the preowned Cirrus market give us a call. Steel Aviation offers with every aircraft we sell extended service agreements providing spinner to tail coverage, training, financing, insurance and delivery, just ask for details. This one is ready to go.....fresh engine and prop overhaul with full warranty fresh annual inspection. Upgraded avionics, great cosmetics. All ADs are in compliance, complete and continuous logbooks. Need a tax deduction this year? Call us! A nice original GTS Cirrus clean with no damage history hangared and it shows well. Complete and continuous logbooks with nice maintenance history. Call us to find out more. A gorgeous Cirrus lower time and in excellent cosmetic condition. Complete and continuous logbooks with no known damage history. All ADs are in compliance. One owner. GTS equipment without the tinted windows. This one should be on your short list call with questions or to receive more info. Owner is upgrading this plane is ready for a new home. Just a nice clean Cirrus with all of the right updates already completed. Call us for further details. Excellent aircraft. Just out of extensive annual. Great options. Complete and continuous logbooks, all ADs are in compliance. This plane is ready to go! This one is ready for its new owner! Nice aircraft excellent upgrades ADSB 2020 compliant! All ADs in compliance complete logbooks. Call us now to learn more! This plane is ready to go. WAAS upgraded and has the DFC90. Super clean, complete logbooks all ADs are in compliance. Please call to learn more. A one owner Cirrus N420GW is ready for a new home. Upgraded with the Avidyne R9 system this one should be on your short list. Give us a call to discuss this fantastic aircraft. Steel Renovates.......Here is your opportunity to get EXACTLY what you want. Currently there is still time to pick your colors. We build amazing Cirrus focusing on creating as new of an aircraft as possible at a fraction of the cost of a new aircraft. There are plenty of reasons to purchase a new state of the Art Cirrus and if you can afford it or want to afford it please call us and lets order a new aircraft you will not be disappointed. However if you are a more of cost sensitive buyer Steel's Renovated Cirrus are your best bet. Our shop specializes in total renovations for these aircraft. If it needs it the planes that go though our program get it, new batteries, new brakes, new calipers, new paint, new interior, new new new! And the best part of it all warranty coverage.......call us for details. N537MC is a beautiful SR20 with all the right features. Excellent choice in the preowned market. Always hangared, complete and continuous logbooks all Ads up to date and current. Give us a call! Well equipped SR20 with a medium time engine and fresh annual. This aircraft was upgraded to the Stec 55X autopilot and also comes with a warranty on the Avidyne PFD/MFD Units. All this aircraft needs is a pilot! Fresh annual by Cirrus Service Center in excellent over all mechanical condition. All AD's in compliance, complete and continuous logbooks with no damage history. Call us to discuss in further detail. Nice price point. Nice solid aircraft. All AD's in compliance complete and continuous logbooks. A good platform to build upon. Call us for complete details. A one owner aircraft.....Steel Aviation has just went though this plane from top to bottom. A new parachute has just been installed as well. The plane has the highly desirable A/C as well. It is in exceptional condition. This is the kind of low time plane you want to buy. Call us for more details. Here is an exceptional value, why buy an Archer or 172 at this price? The plane is in great condition and is ready for a new owner. Highly upgraded avionics ADSB compliant. Call us for more details. Highly equip very capable Cirrus. ADSB compliant, new interior, excellent useful load, put this one on your short list call us for more details. This one-owner Cirrus has had the same home since it flew out the factory doors. In fact, the owner had the privilege of traveling to Duluth and see this aircraft being built! N1432C has always been hangared and flown with the upmost TLC. This Cirrus has an immaculate maintenance history with all inspections and upgrades being completed at Cirrus Service Centers. This is truly a clean aircraft with all logbooks and AD's complied with and no damage history! A nicely upgraded affordable SR20. This aircraft is a great alternative to the far less capable Archer or 172. Call us for further details and to learn more about this aircraft. Why buy a 172 or Archer when you can have this plane? This one has all of the right features. Extended TBO with TCM to 2200 hours. Excellent aircraft for so many reasons. Complete logbooks all ADs in compliance, just ready for a new owner call us today! Here is a great priced Cirrus with low engine time and a lot of options. All ADs are in compliance, logbooks are complete and continuous. Call for more details. Nice upgraded SR22. Good cosmetics, nice features. Good maintenance history, complete and continuous logbooks with no known damage history. Give us a call to learn more. A 2 owner aircraft this one has been well maintained and is ready for a new home. All ADs are in compliance, logbooks are complete and continuous. Nicely upgraded give us a call to learn more. A nicely upgraded SR20. Excellent choice in the used market. Give us a call to learn more. This is the best deal out on the market!! Unbelievable avionics upgrades that bring this aircraft's capability on par with that newer Cirrus Perspective system at a 1/5 the price. Still is still going great. Look under Misc. logbook on our website for the latest Oil Report. A great platform with years of worry free service N730C is an excellent choice in the used market. Excellent value in the Cirrus market. Highly upgraded and ready for a new owner. We do accept trade in aircraft. What else are you going to buy at this price? Gorgeous! A one owner highly maintained Cirrus. Here is your opportunity to buy a highly capable SR22 at an affordable price. Call us for more details. A fantastic C400 in excellent condition at a good price point. These planes look fast sitting still. Excellent for business travel or pleasure. All Ad's are in compliance and this one is ready to get you there F-A-S-T! This Columbia 300 has some very nice upgrades including Speed Brakes, Newer 400 style serviceable nose gear ($10k Upgrade), High efficiency starter, GAMI Injectors, Second Garmin MX20, and a Tanis oil pan and Block heater. The aircraft also has a fresh annual and IFR certification. Low time beautiful aircraft ready to fly. Logbooks and videos of this great Columbia 300 are available on our website. The DA62 it is the hottest plane on the market. Here is your opportunity to own one NOW! YES, IT IS AVAILABLE NOW! Need a tax deduction? The potential tax savings are extreme. Call us now to learn why you should purchase your Diamond From Steel Aviation. The newest Twin on the market the Twinstar is excellent for so many applications. Be it a capable and safe lead generator for you business or a family traveling time machine. FIKI and dual engines offer a level of safety unmatched in in the industry today. Coupled with the fuel sipping and operational costs of this aircraft it is hard to beat. Call us today for options. This plane is excellent. Nice consistent use, all AD's complied with, there is no damage history, complete and continuous logbooks. Excellent opportunity to own a great, safe, easy to fly aircraft. Call us for complete details. Single owner - very clean, Always hangared in Southern California. Meticulously maintained at the same Diamond Service Center in Long Beach. This aircraft has a steady flying history with no mechanical stone left unturned at every annual. It deserves to go to a new home with the same TLC it has had since delivery! A great training device, economical to own, with an excellent maintenance history. Call us for complete details. Unlike most of the twinstars this plane has NOT been used for flight training purposes. It has been personally owned and cared for by a single pilot. The plane is in very nice condition. Here is your opportunity to own one of the hottest planes in GA for a fraction of the price of a new aircraft. Super efficient fantastic opportunity. Call us. A great training aircraft or economical aircraft to own. Highly maintained. Give us a call to learn more. Highly maintained aircraft. Sips fuel excellent for a first plane or a economical business tool. Call us. N571DS has been used for flight training however has not been abused. The plane is in very good condition and is being sold due to lack of use. All AD's and mandatory SB's are in compliance. The Diamond DA40 has the best safety record in general aviation and there is a reason for it, the plane is super stable and a joy to fly. The G1000 cockpit is impressive and a great IFR platform. Lots of nice upgrades with this DA40. Diamonds safety record is unmatched in the industry. The efficiency of this aircraft is also unrivalled. This DA40 is exceptional in every way. Harder and harder to find a nice DA40 this one should be at the very top of your list! Call us! A great training platform or a super economical commuter. Give us a call to discuss the super safe Diamond DA20. A one owner DA40 this plane is in excellent condition. No damage history, complete and continuous logbooks, all AD'S in compliance. A fast affordable technologically advanced aircraft at an excellent price point. This plane is like new! Call us for more information. A beautiful highly upgrade DA40. A blast to fly, affordable to maintain with an industry leading safety record. All AD's are in compliance, complete and continuous logbooks, and no damage history. ADSB Compliant. Excellent opportunity. The plane was purchased with 100 hours total time. Current owner is the 2nd owner. High level of maintenance, logs are complete and continuous, there is no damage history. It is truly gorgeous and ready to be a useful tool for your business or family transportation. Happy to accept trade in aircraft Cirrus are preferred but we are open to others. Call us to discuss. A one owner and privately flow next to new aircraft. This is the perfect tool for serious business travel or the ultimate time machine for a busy family. One of the lowest time Eclipse in existence. Excellent choice give us a call for further details. 1988 Mooney M20K 252TSE is always hangered. This aircraft has 1449 TT, 450SMOH, 106 Gallon Fuel Tanks,Intercooler, and Hot Prop.FRESH ANNUAL June 2016 Avionics/Radios: Garmin 430 WAAS, S-TEC 60-2 Auto Pilot, KMA 24 Audio Panel, Sigtronics Intercom SPA 400 4 place, FT 101 Hoskins Fuel Flow, King KT76A Transponder, Narco Mark 23D Nav Com VOR Glideslope, Horizontal Situation Indicator, and NDH. Additional Equipment: Standby Vacuum, Built in Oxygen Tank - Scott 115.7 Cu.Ft. Run with the BIG BOYS is Pipers campaign for the matrix. And here is why. N580MM is a fantastic aircraft, offering the latest in safety and comfort from Piper. A one owner aircraft that was broken in by the book, factory service center maintained and has no damage history. This plane looks and smells new. The beautiful and luxurious cabin class interior is impressive to not only family and friends but all important business associates. This will become a valued tool in any business setting paying for itself again and again. This is one capable aircraft with state of the art avionics, the Matrix cruises at 213 KTAS, 1345 NM at long range cruise. 25,000 FT operating altitude and is Flight Into Known Icing (FIKI) approved. No longer do you need to delay those important trips because of known icing conditions, and rest assured you are covered with this FIKI certification. Call us today for further information about this FANTASTIC aircraft. You will be hard pressed to find a nicer Saratoga. A one owner who babied this aircraft.....just out of annual at an independent facility. All Ad's are in compliance, complete and continuous logbooks, no damage history always hangared. I am excited about this plane! An excellent step up for a growing family. Call us for complete details. A gorgeous highly upgraded low time Dakota these are getting harder and harder to find. Excellent avionics, great cosmetics, low engine time this one is the total package! Call us to learn more. Gorgeous Cherokee perfect for your first or last aircraft. So many options with this one. Affordable flying. All AD's are in compliance, this one is ready to go. Call us will not last long! A very rare highly upgraded 250 the money has already been spent on the major items on this aircraft. Good cosmetics and in excellent mechanical condition. Fast, economical, historic and rare this Comanche 250 should be on your short list. Call us to learn more.